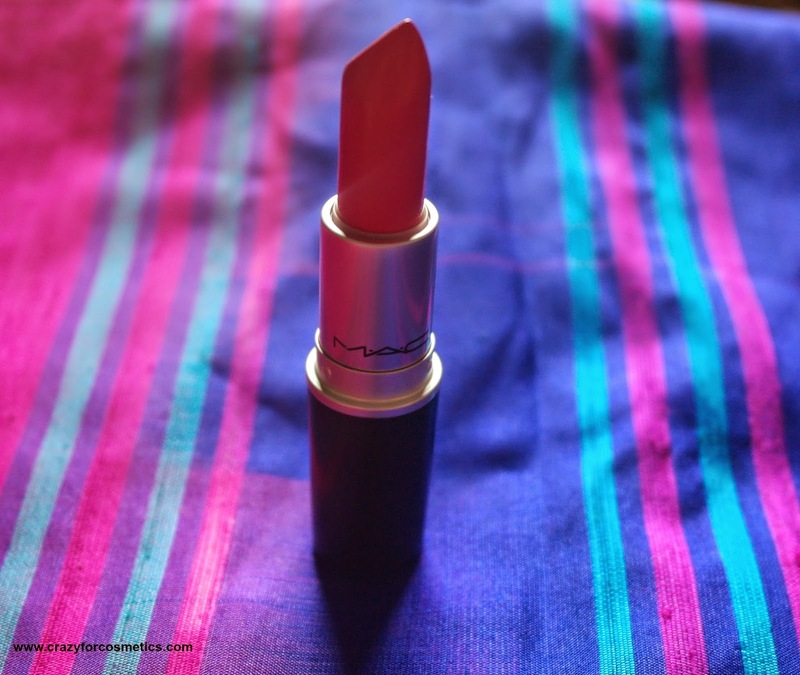 Have you ever heard of a husband who fights with his wife and insists she should get herself a MAC lipstick? We fought in front of the MAC Store in a mall for me being adamant not to buy one for now and he being persistent that I should get one. TOUCHWOOD.. 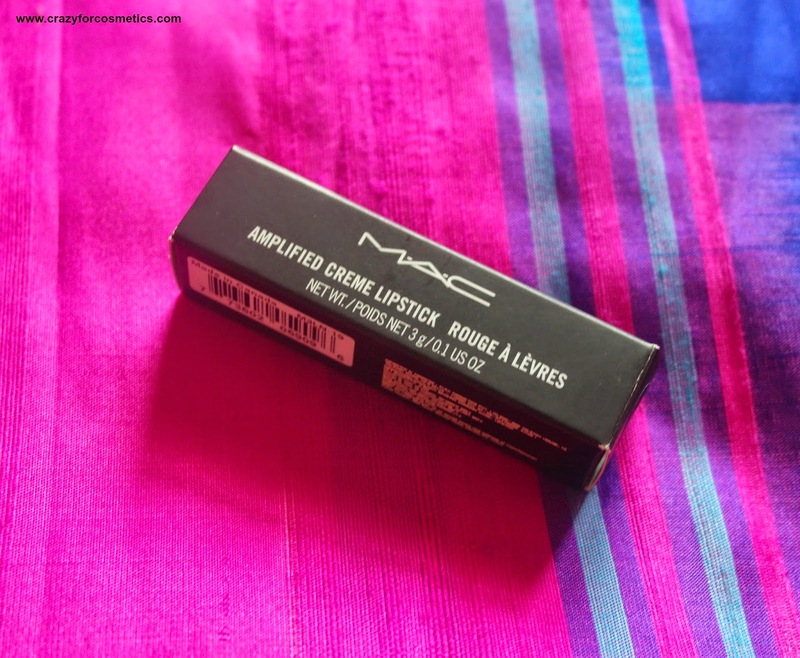 I am so lucky to have him in my life & the result - MAC IMPASSIONED is in my stash now. 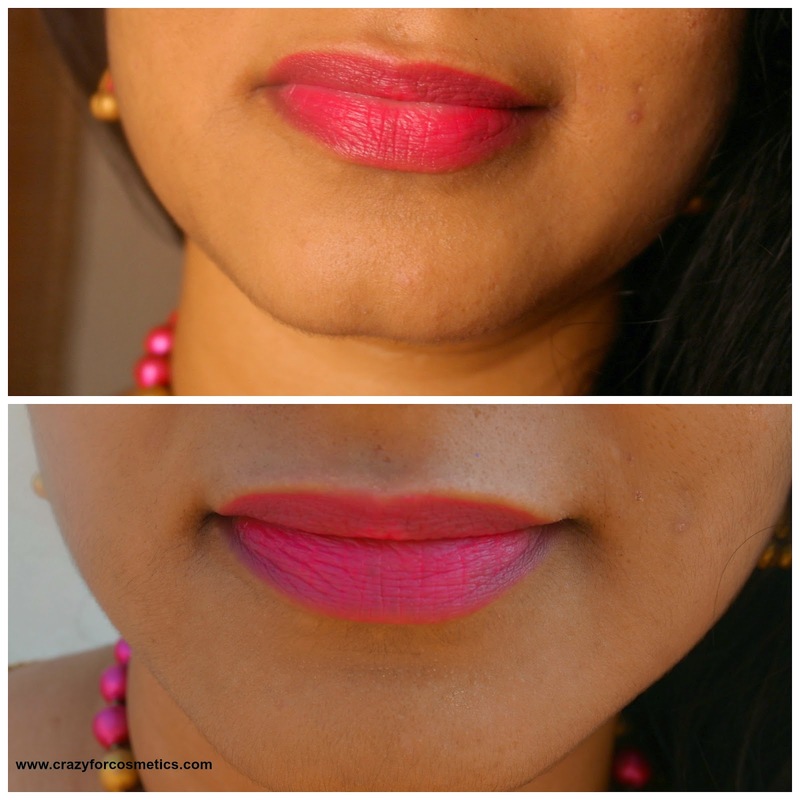 I have read a lot about this shade before in other blogs but I kept my mind open to other shades as well. 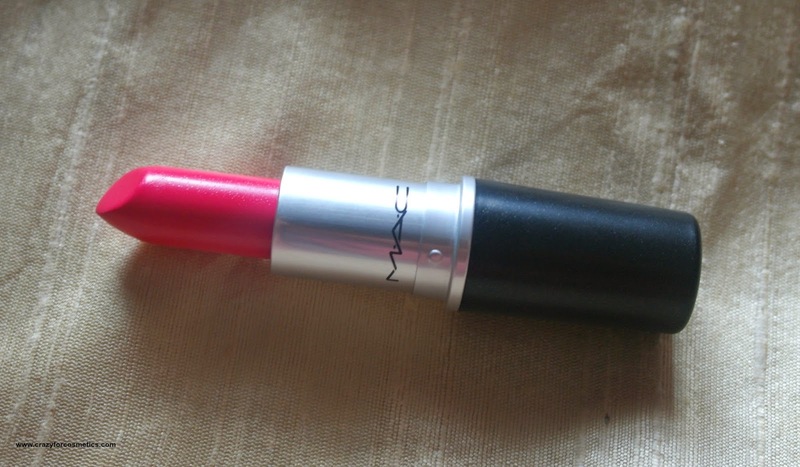 I wanted some bright shades and tried quite a few like MAC SPEAK LOUDER, IMPASSIONED, ON HOLD etc. ON HOLD & IMPASSIONED impressed me a lot. I first requested for ON HOLD but the store did not have it in stock and hence I was left with no option but IMPASSIONED. 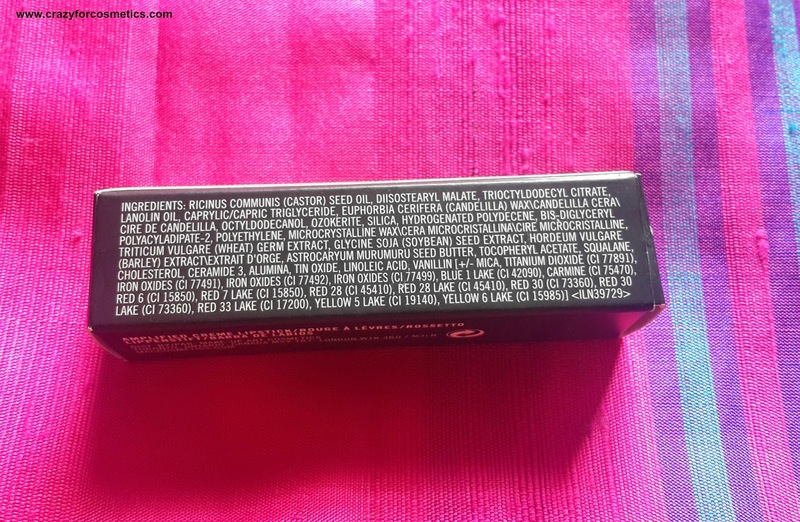 I first felt it was too bright & cooler on my MAC NC 40 skin tone but after few minutes it became a bit more warmer on my skin tone and completely enhanced my face. When I first applied it looked quite similar to my Sephora R 34 shade but later slowly exhibited the coral shade in it which I love. Color plus texture for the lips. Stands out on the runway. Simmers on the street! 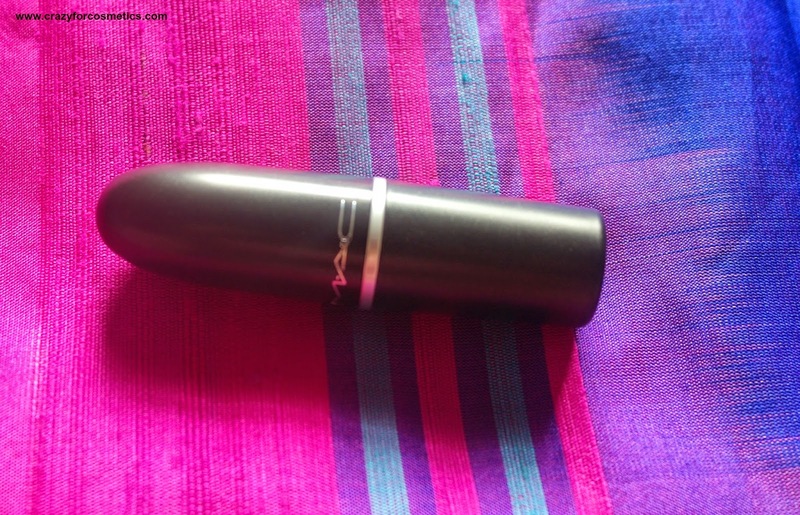 The lipstick comes in the usual MAC BLACK PACKaging that is quite small and compact to carry it anywhere you want. The case is very sturdy and can be stored in the smallest of the wallets.No unnecessary printings on the black case with just a MAC symbol. 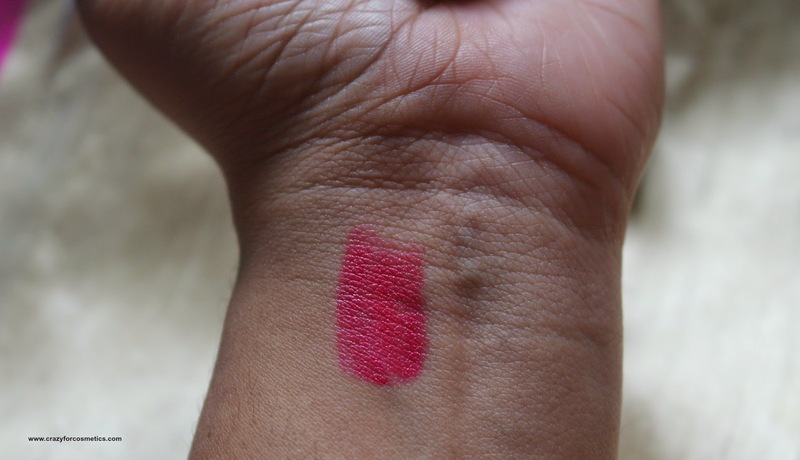 MAC Impassioned looks so pretty in the tube(mix of neon pink and red ) and looks a neonish pink when applied. In a few minutes it starts to exhibit a reddish tint too which looks flattering on my NC 40 skin tone. It transforms you in a jiffy and gives you all the attention you deserve. I am totally in love with the shade. 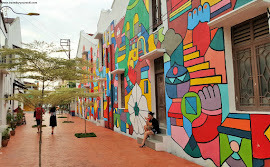 I was hesitant at the beginning thinking I will not be able to carry myself with such a bright shade but slowly I started realizing that it made my face so fresh and bright. Under different lighting, it exhibits different shades and on the whole I think I have made a great choice.The smell of the lipstick is very pleasant. 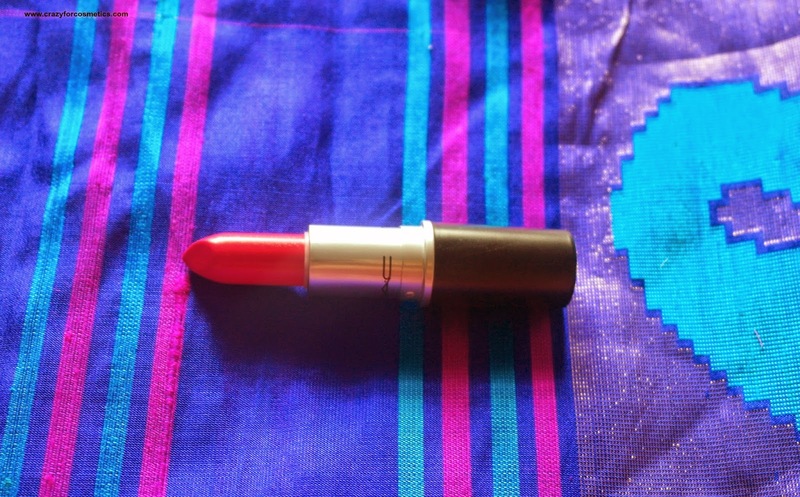 Next comes the pigmentation of MAC IMPASSIONED which is yet another aspect where it scores so high. 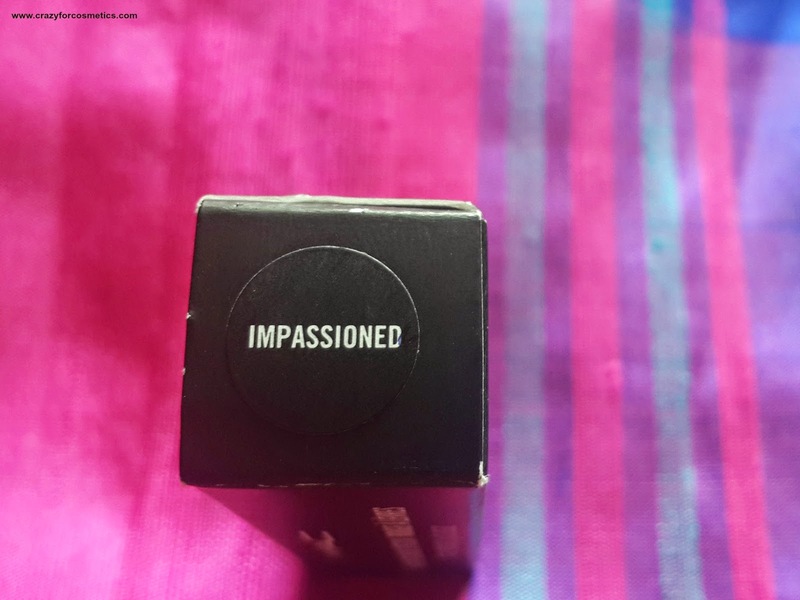 It delivers an opaque finish with just one swipe and it sets to a semi matte finish according to me.Though it is supposed to be Amplified Creme finish which gives a glossy effect(according to MAC), this does not look all that glossy on lips.It just glides smoothly on the lips without any extra effort- the formula is extremely smooth and creamy. It contains some kind of butter which makes your lips soft. 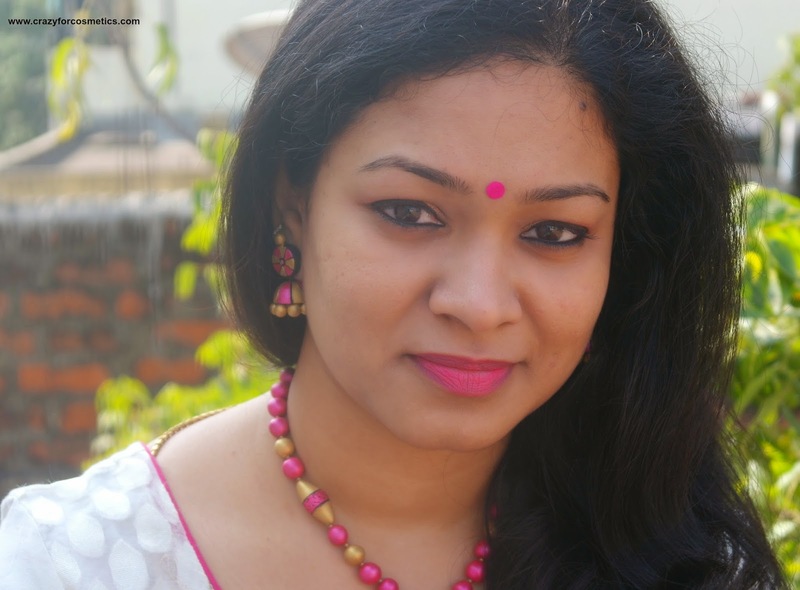 I have had this kind of a finish with the Bourjois Sweet Kiss Naturel lipsticks before.It has a great staying power of about 5 to 6 hours and it withstood a coffee in between. It is transfer resistant and leaves a mild pinkish stain behind after 5 or 6 hours. 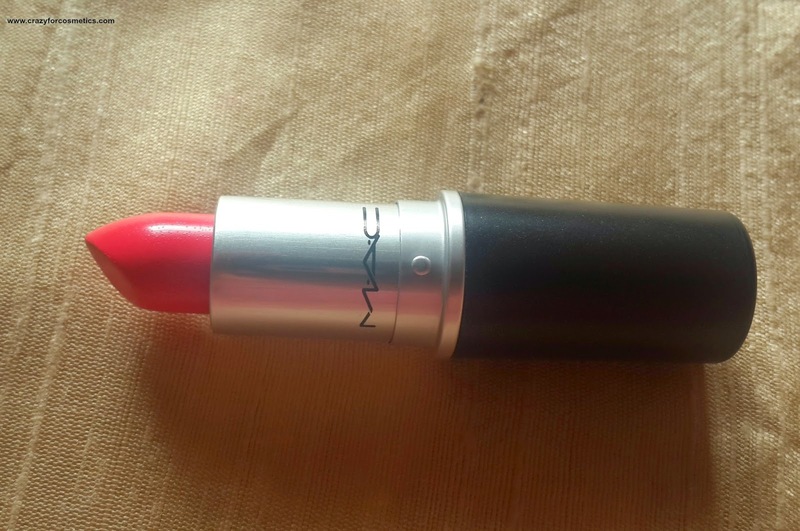 The main drawback of MAC IMPASSIONED is that it settled into the fine lines of my dry lips which I am sure no one would prefer.So it is better to exfoliate your lips before you use this lipstick or first use a lip balm before you start your makeup application and as the last step use MAC IMPASSIONED. 2 : Some shades are always out of stock. 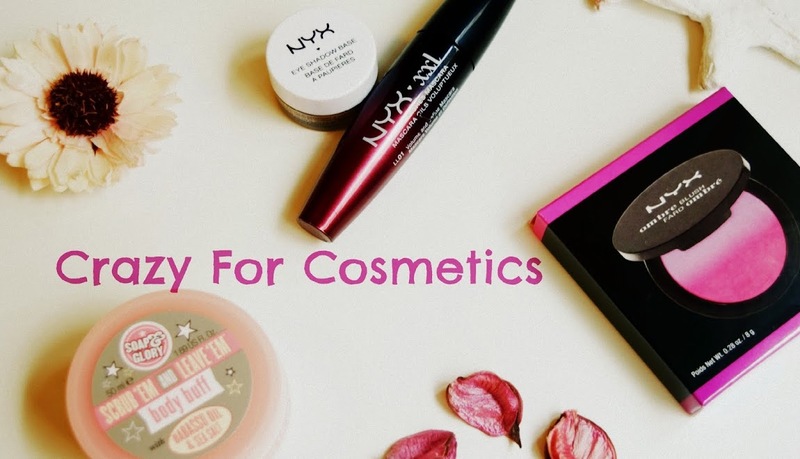 3 : Settles into fine lines and exposes dry lips. 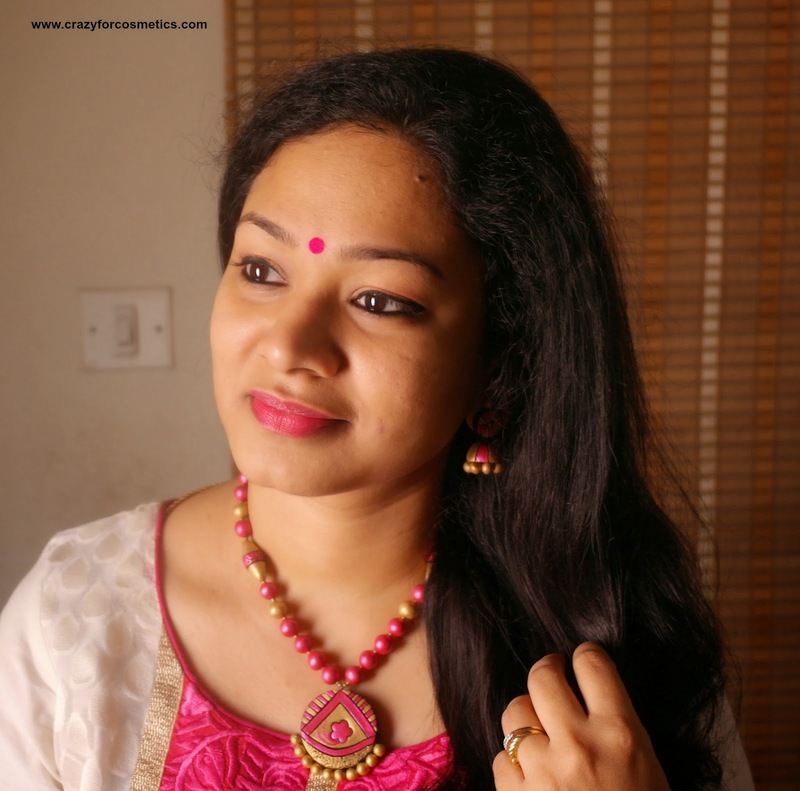 Verdict : A must try for girls who like to experiment with bright colors and I am sure it wont let you down.